Grand Residences by Royal Resorts is celebrating its fifth anniversary this December. 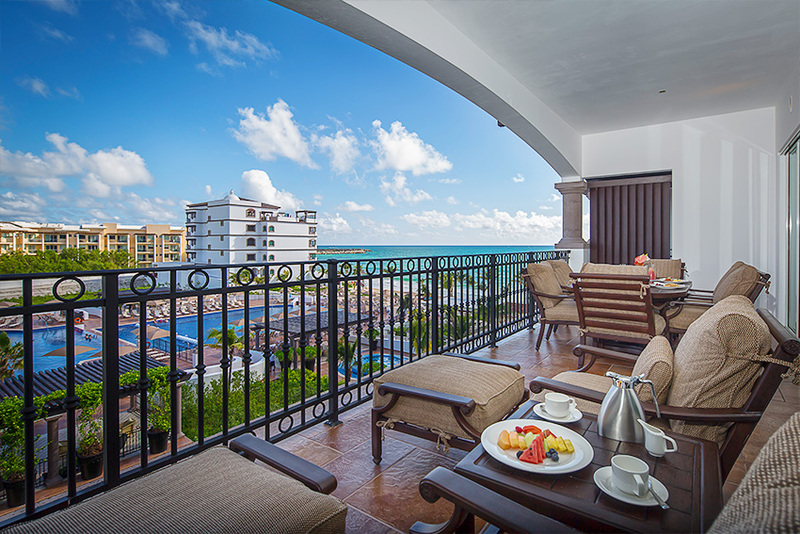 Nestled on a breathtaking beach to the south of Puerto Morelos, our luxury resort continues to receive rave reviews for its spacious suites, upscale amenities, gourmet cuisine, hallmark Leading Hotels of the World® service and the exceptional vacation experience it offers owners and guests. Grand Residences is well and truly on the world stage, winning accolades for the luxury vacation experience it offers. 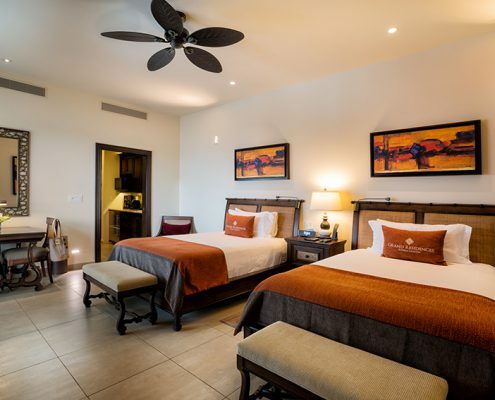 One of the Trip Advisor Travelers’ Choice 2018 Top Luxury Resorts in the World and in Mexico, Grand Residences also won Travel and Hospitality Awards recognition as the Best Luxury Hotel in Quintana Roo in 2018. Other recent awards include Loved by Guests 2018 Gold given by Hotels.com to resorts that receive outstanding ratings and the Expedia+VIP Access Best of 2017 award as one of the world’s top 500 hotels. In the Medallia exit survey conducted by Leading Hotels of the World®, Grand Residences is rated No. 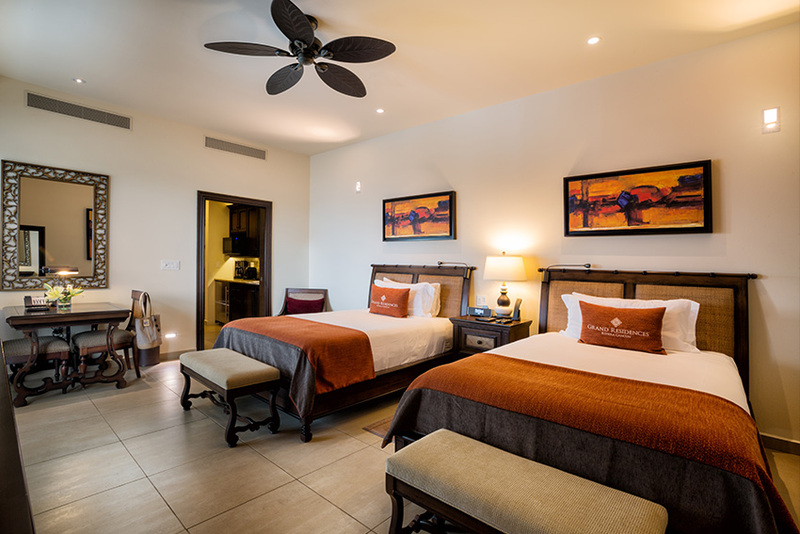 2 in Mexico among the more than 400 luxury hotels and resorts in the collection. 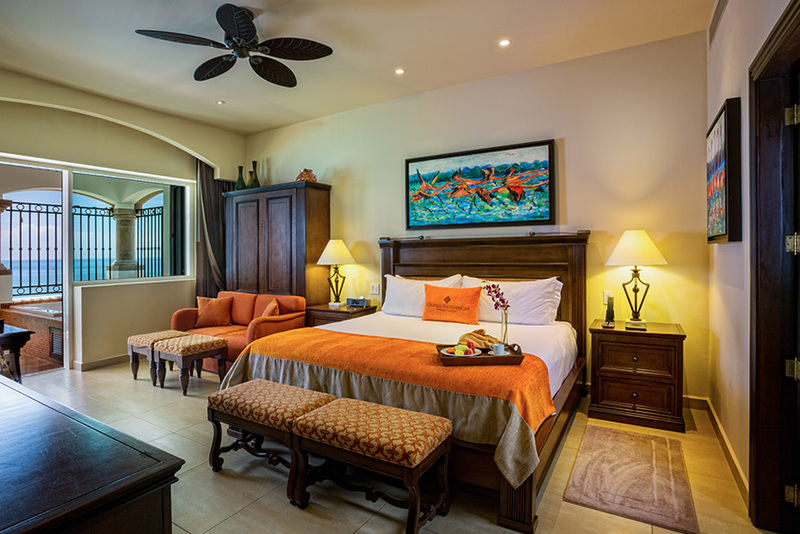 Inspired by classic Mexican hacienda architecture, the two, three and four-bedroom suites at Grand Residences are incredibly spacious and have everything owners and guests need for an unforgettable vacation, and for enjoying life in their beach paradise. 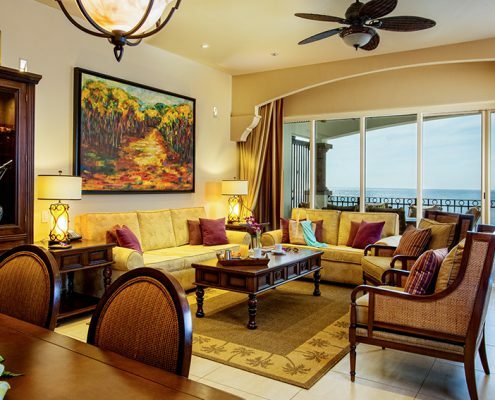 An ample living-dining area with sprawling comfy sofas for relaxation, tropical hardwood furniture and a cutting edge home entertainment theater, opens out on to a private ocean view or beachfront terrace. Signature bedding, a pillow menu and the finest 1,000-thread linens make the bedrooms a sanctuary for sleep and relaxation. Children eagerly await the handcrafted wooden animal figures that are the evening turndown gifts. A rain shower, granite countertops with twin basins, a whirlpool tub and separate WC are features of the large en suite bathrooms. The gourmet kitchen is equipped with high-end appliances including a Sub Zero fridge, stovetop and oven, Nespresso machine and a wine cooler. A separate laundry room with a washer and dryer is a welcome feature for families. There are touches of luxury at every turn, including fresh flowers, orchids, Bulgari® bath products, Jacuzzi, high-speed Wi-Fi, huge LED HD TVs, Blue Ray DVD players and iPod stations. 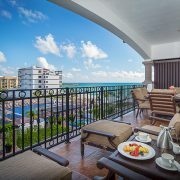 The guest bedrooms are actually Jr. suites in their own right with a kitchenette, terrace and their own independent entrance, making them ideal for guests or for rental and exchange purposes. 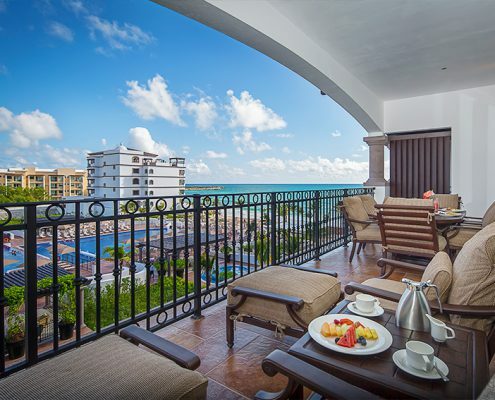 Offering spectacular views of the Caribbean, the extensive outdoor terrace is perfect for al fresco living. Some of the residences also have infinity plunge pools, private gardens or roof terraces with a larger pool and deck. Time-honored hospitality, attention to every detail and extra touches of pampering, Grand Residences owners and guests enjoy an incomparable vacation experience. There are four pools, including an infinity pool with a swim up wet bar and pool concierges, a 24-hour fitness center, tennis courts, a spa, daily activities, a kids club and teens club. Other services at the resort include a gourmet food market, business center, meeting room, beauty salon, airport transport, a private catering service and event and wedding coordination. 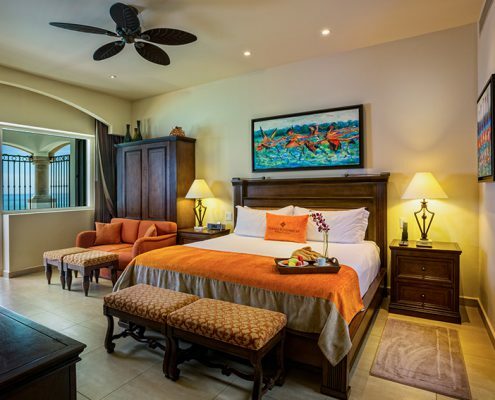 A team of Concierges is on hand to help owners and guests have a wonderful vacation, plan an exciting sightseeing itinerary for them, and book fishing, diving and snorkeling trips, yacht charters, golf tee times and tables at local restaurants. Unique experiences and activities await at Grand Residences, such as traditional afternoon tea, a sunset cruise, wine and tequila tastings, bike trips, cooking and cocktail classes, among others. El Faro Grill offers gourmet cuisine with Mediterranean and International flavors and tempting theme night buffets during the week. Flor de Canela is a favorite for traditional Mexican dishes and Heaven Grill is a casual open-air dining spot offering the freshest seafood. Boasting an extensive wine list and a sommelier to recommend the perfect pairing for every menu choice, for the second year running, El Faro Grill was included in the prestigious Wine Spectator list of top restaurants for 2018. The room service menu is available round the clock and it is room service with a difference. The waiter sets the table with tablecloth and cutlery and then serves your gourmet meal. Private catering services such as a chef’s dinner on the terrace or in your suite, cocktails, canapés and events can also be arranged with prior notice (additional fees apply). 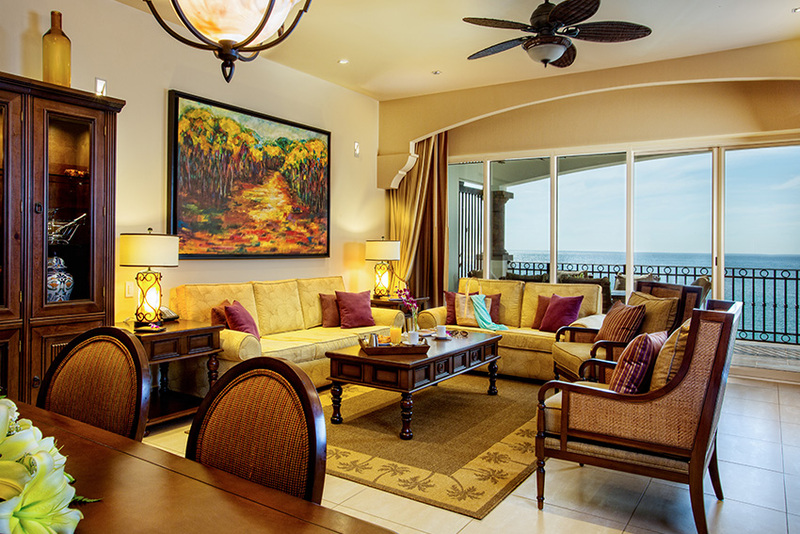 Arrange an appointment to visit Grand Residences and learn about the fractional and points memberships available.